NOTE: this post depends on its predecessor. If you didn't read it thoughtfully, this one won't help you much. Scripture, as we saw, points to something like a council among the members of the Trinity before the foundation of even one world. The plan of salvation was completely laid among Father, Son and Spirit. Father: We all see the mass of mankind as rebellious, fallen, dead and hopeless. Because I am rich and mercy, and because of the great love with which I love them, I am selecting a subset of humanity for salvation. They are a vast and immense host, from out of the larger number of the lost. Son, I shall give you these men and women, that you might go and give them everlasting life by making full atonement for their sin. Son: That would be My delight. Father: Spirit, My Son and I will send You to apply the Son's atonement to those chosen by breathing life into them, thus enabling them to repent of their sin and believe savingly in Him. Your ministry is secured by My Son's penal, substitutionary death for those I chose. Spirit: That would be My delight. And then they do it, successfully as always, and just as planned. Now, the Amyraldian reconstruction would force us to envision a very different council. Amyraldians affirm the Biblical truths that that mankind is dead in sin, that God chose the elect unconditionally, that He draws them to saving faith, and that God will preserve every one of them. However, they imagine some way in which Christ died not just for those the Father and Spirit elect to save and regenerate, but for all men and women without exception — including Judas, the Beast, the False Prophet, and people who already were deceased and hopelessly suffering God's wrath. Son: Oh, one more thing. Son: I am also going to die for the rest of mankind as well, without exception. Father: You will die for those I did not choose, those I will not forgive or accept, those I will leave to their sins and to the penalty for their sins? You will make an atonement I did not authorize and therefore will not receive? Why? To accomplish what? Spirit: You will die for those to whom the Father did not send You to save and will not send Me to bring to life or draw to repentant, saving faith? Why? To accomplish what? What would the Son answer? What could the Son answer? We'll never know, because it didn't happen and couldn't happen. Proponents won't like it and they won't admit it, but Amyraldianism unintentionally has the effect of putting the Son at odds with the Father and the Spirit, offering a sacrifice that the Father did not commission and will not accept, and that the Spirit will not apply. Interestingly, the comments towards the end of yesterday's meta in particular anticipated just exactly where we were going. Well-done! I smell a false dichotomy. If you were to ask me "Did Jesus die for Judas?" I would say Jesus' death meant that IF Judas had repented and believed, then he COULD HAVE had eternal life. In fact, he didn't, therefore he is now burning in Hell. But there's a possible world in which Judas repents and obtains eternal life (whoops, sorry, that's the philosopher popping out). I like you, YGG, but that response, like your comments about God's order to drive out the Canaanites, just indicates you haven't thought through the contents of post. You don't like it, so it's not true. Neither gainsaying nor dodging constitute actual arguments. What is even more ironic about this whole dialogue is that you will find no such thing anywhere in the whole entire Scriptures. Such an ad hoc contrived thing cannot really be an argument. Goodness, I hope this meta doesn't just turn into a display of creative ways of saying "I DON'T EVEN WANT TO THINK ABOUT THIS" without acftually saying it. And the one-starrers are here. It's chuckalicious. The Amyraldians I know (more than just a few) do not consider the logic or reasonableness of their system. Only whether, in their estimation, it is "fair" or "loving." It's a very subjective critique - something like, "God wouldn't have done it that way because He is a God of love and wants everyone to be saved, and by the way, all means ALL." Really? He wouldn't have done it in the only way that makes sense?? He would have sent His Son to waste His blood on atonement for people who would never believe in Him because the Holy Spirit would never breathe life into them, and *that* is what would (in their estimation) make it "fair"? Ultimately, Amyraldianism leads to an enormous discounting of what the Holy Spirit does, that is, enables us to be saved in the first place. 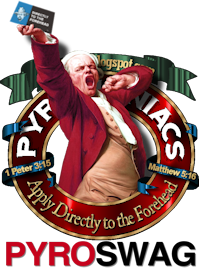 The Amyraldians' Holy Spirit (in my experience) gets relegated to a role somewhat like Jiminy Cricket. I think you will find a VERY vocal group of people who will not like this post at all. I think you are right on target. Looking at John 17 and Jesus prayer, he makes a distinction between those who the Father had given to him and the rest of the world. Jesus says that Judas was lost so Scripture would be fulfilled. In my mind, John 17 highlights what you are saying here; that it could not be different. DJP, told you this would stir more ire than Hitler did. YGG, you had better read Psalm 41:9, John 17:12, and Acts 1:16-25. That will help you formulate your opinions about Judas accordingly, and report back. As for not liking this post and doctrine, read Luke 4:25-29, note the subject, and then what they attempted to do with the speaker. Angel: Has not the blood of the Christ been shed for you? Soul: Some would believe it so. Angel: Then why do you not reap the benefit of the price which was paid? In Loraine Boettner's book "Studies in Theology" he has an entire section on the extent of the atonement and a page dedicated to explaining "all" and "every" on page 321 for those who have heard "all means all and that's all all means!" too much. That's all folks! Sinner 1: What are you in for? Sinner 2: No idea whatever. Preacher said Christ made full atonement for everyone's sins without exception. Sinner 1: Same here. No clue. It seems that Amiral... Amayy... 4-point Calvinists want the "elect" and "all" to be mutually exclusive categories. Somehow, there is some sort of imaginary barrier in between the two groups that doesn't allow one to inform the other. Another good response to "all means all" is D. James Kennedy going on and on about it on the "Amazing Grace" DVD... Love it! Very intriguing post, but I think that some of the answers are revealing. Amyraldianism doesn't really work with any sort of cooperative plan of salvation on the part of the Triune God. Our understanding of what historic theology called the "Covenant of Redemption" and what Dan calls here a "Council" emanates both from specific Scripture and from an understanding of the infinite wisdom of God. Certainly the all-wise God planned salvation before He enacted it, right? Yet the Amyraldian system seems to presume that Father, Son, and Spirit went about pursuing redemption along different lines and with different conceptions of what it was meant to be. Such a salvation is like a house built by a carpenter, a plumber, and an electrician working from three distinct sets of blueprints. We can scarecely imagine skilled tradesmen doing such a thing, but we imagine that the all-wise God went about saving mankind without any discussion of the target population of that salvation? What are the best kind of posts? 1. An old debate is reframed in a convicting and refreshing way. 2. I walk away rejoicing in the finished work of the Triune God. 3. My faith in Christ is increased. ...the argument against Limited Atonement always comes down to one of either two things: a misunderstanding of the love of Jesus, as though a loving Savior would not die for some and not others, or a misunderstanding of the power of Christ's saving work, as though an omnipotent Savior who dies for some has somehow underachieved. Let's grant both, one at a time. It would have been unloving for Jesus to die for only some when others needed saving, so He died for all. Very well. Then the Father and the Spirit are less loving than the Son, for while He went all-in on the salvation of mankind, they lacked the all-inclusive love which motivated Him. Jesus may be love, but God certainly is not. Or, if you prefer, it is a matter of power. An all-powerful Jesus must accomplish an atonement on behalf of all the people who ever are. (Although somehow he fails to atone for the fallen angels, but that's another argument, never mind.) Now we have a people in the world whose sins are paid for by the all-powerful work of Christ, but the Father fails to elect them and the Spirit fails to call them. Evidently the Father and Spirit are not quite as omnipotent as the Son. These implications are simply there in the argumentation. The Triune God is divided not only in decree, but in attributes as well. I think you were joking, but your Star-Trek-esque "alternate universes" theory reveals the weakness of your position. If redemption only makes salvation possible, not actual, and if in an alternate reality Judas might be saved, then it is equally true that in an alternate reality Peter might be lost. It's all a matter of human will, after all. This, you see, is where "all" means "all"; salvation depends either all on the will of God or all on the will of man. The Father elects those who elect themselves. The Son died for everyone, including those who were already suffering damnation. The Spirit calls everyone who hears the gospel preached. Duh. I can't tell if trogdor is being serious or facitious. If serious, I would suggest he completely drop the concept of the Father electing, and call it what it really is in his doctrinal system. It is not the doctrine of Divine election. It is the doctrine of Divine ratification. This is really helpful Dan. I understand the biblical reasons for particular redemption but I hadn't thought of what 4 points do to the Trinity. I would go a step further and say that it not only puts the Son at odds with the Father, but it puts the Holy Spirit at odds with them both as well. I expect that the kind of thinking you're addressing goes, in part, back to the idea that an angry, hating God wanted to punish sin but a loving Son didn't want to so he came and died. You end up with a Father grudgingly admitting that he should probably save some, a Son who tries (unsuccessfully) to save everyone, and a Spirit who ignores both and runs around looking for anyone (Bueller? Bueller?) who is willing to give him a shot a saving them. No sense of coherence within the Godhead whatsoever. How easily we forget that the Son was sent only because "God so loved the world", and that the Spirit only says what the Son has already said. I would suggest that we can extrapolate from that last bit, that he also does only what the Son has done (exactly like we know that the Son only does what he sees the Father doing). So...is the Godhead one as we are one, or are we to be one as they are one? I think we prefer the former to the latter way way too often. My favorite Pastor has been teaching doctrine and the last few sermons have been on the different persons of the Trinity. Three persons but one God in essence. Both Arminianism and Amyraldianism hold to a view that merely make salvation available, which has Christ dying for a hypothesis he knows is false. That is, of course, absurd but at least an Arminian can give a consistent explanation for why we should reduce our estimation of the power of the cross (because God has to keep "free will"). The Amyraldian cannot. His position is more absurd than the Arminian's because Amyraldian has the three persons of God working in a manner that is not "one in essence." BTW, Great post again, Dan. Soul: Ha! Some would believe it so. Soul: Reap the benefit? What benefit? The price that was paid? I don't need no stinkin' price paid. You can take your price and your benefit and do you know what with it! I do not believe in limited atonement as you do, but this little post doesn't phase me because I don't believe in imaginary conversations you made up in your head. I am Amyraldianish because I believe it to be what the Scripture teaches. Particularly 1 John 2:2 and 2 Peter 2:1. I further think that this discussion ought to be about the decree of election, not the extent of the atonement. That's what this is about. The atonement was infinite able to save every last person on the face of the earth. Even 'five pointers' believe this. The question is whether the decree of election came before or after God decreed that Christ would die. If God's salvation is limited to a sub-set, does that not mean that His love is also limited to a sub-set? And to demonstrate that Jesus was on-board with the Father’s will in giving “the opportunity” for salvation to certain select ones, we look at Mark 4:10-12 where Jesus explains to a small number (the 12 and some others) why He spoke in parables. He tells them the secrets of the kingdom were to be revealed to them but to the vast majority of His audience they were hidden. The real shocker is “Why?” which we find in the 2nd half of verse 12: else they might understand, repent and be forgiven. That doesn’t sound very loving does it? As in God loving the whole world and doesn’t want anyone to perish. If the Father or the hypothetical rogue Son operating outside of the Father’s will truly did not want ANYONE to perish, then why hide the message of Gospel in confusing parables? The other shocker to the Armin/Amyr camps is understanding that Jesus let slip that He and the Father actually foreknew that there might be some (or many) who might have repented and been forgiven had Jesus only spoke more clearly. So now you have that conundrum of God’s foreknowledge of the might-have-been conversions but the Father, with the Son “conspiring” to hide the way of redemption. So much for God electing those who He foreknew would choose to be saved. This is seen again in Matt 11:21-27 where Christ rebukes the towns in Israel who have not repented in spite of His miracles and His message. He tells them that He and the Father “knows” that if those miracles would have been done in Tyre, Sidon and Sodom those cities would have repented and Sodom would not have been destroyed. Again why, if God knew in advance that some or many would have repented, did He not do what He did for Nineveh when he sent Jonah to preach repentance? And to further illustrate that the Son was in agreement with the Father’s will to elect some, in verses 25-27 He actually gives thanks that Father has HIDDEN the truth of the Gospel from certain people and says that no one can know the Father except those certain ones that the Son WILLS to reveal Him to. Doesn’t sound like Jesus really intended to die for all to me. So Dan, which is it? Is it the Father choosing some and the rogue Son dying for all, or is it the Son who chooses which certain ones He will reveal the Father to? I think that scripture is very plain that the Father, the Son and the Spirit were and are in full agreement with one another in all things including redemption. Would never have guessed that Brad Williams would line himself up with the "creative ways of saying 'I DON'T EVEN WANT TO THINK ABOUT THIS' without actually saying it" set. David - yes, of course (Rom. 9:13). Depending on what you mean by "love," of course. Not all love is the same love. Do you love your wife? Do you love your neighbor's wife? CCinTn, one of the great ironies of this is that I am absolutely certain that our Amyraldian brothers would, to a man, roundly oppose the recent "cosmic child-abuse" calumnies against penal substitutionary atonement. But doesn't what we're talking about amount to pointless cosmic self-abuse? A complicated theory, with no direct scriptural support, versus the clear and plain language of scripture. Seems pretty clear to me. If scripture conflicts with your theology, change your theology, don't ignore the scripture. So does that mean it's technically wrong to tell an unbeliever that God loves them, in the same way that it's incorrect to say Jesus died for them? You didn't answer my questions, David. No fair asking more. Why is it that when people talk about possible worlds in a theological context, I see red lights and hear klaxons blaring? Molinists on the starboard bow, captain! In my experience most "4 pointers" I know are because of several passages that seem to speak of Christs sacrifice as being for all (1 Tim 2:4; 2 Peter 2:1; 1 John 2:2 etc..). They aren't in your category of "don't want to think about this", well some are, but most I know are convinced from what the Scriptures say, or at least appear to say in some places. I don't think this post will convince them to change positions. Do you plan to deal with specific passages? They aren't in that category? Then it will be an interesting moment when the first one arrives and tries actually to deal with the post. I love my wife such that I would die for her, even if she were to leave me and forsake me till her dying day. Does that make me an Amythingy? Dude, please, try to focus more closely. Look at the question you asked me. Then look at my answer, and the two question I asked you. Answer them. If Christ has atoned/propitiated for the whole world, and world means every person who has ever lived, hell will be empty and we got bigger problems with the Bible, like "why is the concept of hell even in there if its not real"? Also, what does proper hermeneutics tell us to do when we have verses like 1 Jo. 2:2? I mean, isn't the guy who wrote 1 Jo. 2:2 the same guy who wrote John 10:11? Do we call him multiple personalities or try to make sense of the verses together? Luke 2:1 Now in those days a decree went out from Caesar Augustus, that a census be taken of all the inhabited earth (NASB). ESV says all the world BTW. Hmmm, did this census include North and South America (not as yet named such)? Gosh, should Scripture interpret Scripture or is the buffet open for picking and choosing? All may not be all, whole may not be whole. We add our own modifiers before confirming with other Scriptures. Has anyone even spoke of the ugly specter of double punishment for the same sin yet? So, our Lord was crushed and died for the sin of the whole world yet some still go to hell for their sin. They must not be included in the whole world then or God punishes the same sin twice. Or, maybe, whole doesn’t mean whole in the sense you’re thinking. Matt 26:28: for this is My blood of the covenant, which is poured out for many for forgiveness of sins. Matt 20:28: just as the Son of Man did not come to be served, but to serve, and to give His life a ransom for many. Heb 2:10: For it was fitting for Him, for whom are all things, and through whom are all things, in bringing many sons to glory, to perfect the author of their salvation through sufferings. As I parroted yesterday, some limit its power some limit its scope, some want it both ways in some confusing way. Dac: So explain to me how Jesus atoned for the "whole world" and yet God's wrath still abides against the unbeliever? Are you honestly going to say that propitiation means something other than an appeasement or turning away God's wrath? I think John Owens had it right. Jesus either (a) died for all the sins of all men or (b) died for all the sins of some men or (c) died for some of the sins of all men. The obvious answer is B is the truth. Or in the verses following John 10:11, verses 12-16 when He says that He knows who His sheep are and again in vs 15 when He says He lays His life down for His sheep. And then He tells some there in John 10:26 they do not believe because they are not His sheep. And guess what? That then means that He was not going to die for them. And why? Because He just told them a couple of sentences above that He came to die for His sheep, so if you’re not a sheep, He’s not dying for you. What did Jesus mean in John 17:6 when He said He was not praying on behalf of the world, but only those whom the Father gave to Him? These are a few Biblical references. It’s easy to say that limited atonement is in the Bible. I see it clearly here. These verses are clear that there Christ gave up His life to a select few that He calls His sheep or who is called the Church. He died for many and not for all. The angel told Joseph in Matt 1:21 that the child to be born was coming to save His people from their sins. Not that He was coming to save the world from their sins. Now can you provide Biblical support for the view that Christ’s death atoned for the sins of everyone who has lived. Or that our sins have been paid for but that Christ’s death is not “credited” to our account until we choose to accept Him? I have thought about it, forwards and backwards. I just think this line of speculation is silly, and it doesn't deal with the real objections that I have to your position. How should I respond? Put in a counter-imaginary conversation as to what was really said before God created anything? I simply think that you are mixing the extent of the atonement with the doctrine of election. I believe that the atonement was sufficient for all, but was made efficient for some by the decree of election. Atonement comes first, then the decree to elect. That's the heart of the matter, not speculations on what the Father, Son, and Spirit said to one another. John Owen's was too right. If Jesus died for all of the sins of some men only, including faith, then ask yourself why any man must believe in order to be saved. That is, if the sins of the elect are taken care of, every last one, then why must he believe? That little formula, I think, is what spawned the doctrine of eternal justification and true to life hyper-Calvinism, which we really do have here in Alabama. So if you believe that no one is saved until atonement is applied, you circumvent the entire thrust of Owen's argument, unless, of course, you want to argue that the atonement itself is finite, which no Five Pointer ever has. Repeating yourself doesn't forward the argument... or, in your case, begin one, Brad. So now you've stepped into a conversation twice to say it was a stupid conversation and you want nothing to do with it. Helpful? Rational? Not so much. Thank you, Dan. This is a hard doctrine for me to come to terms with, and the Scripture references you and others have provided in these posts leave little room for doubt. That little room is edged out more easily for me with these down-to-earth kind of explanations. I suppose they're little more than taking a position to it's logical end (as Chantry has done as well), but that's something I seem incabable of. So on behalf of those of us who missed out on Logic 101, thanks! That is the area that is hardest for me to grasp (the "all"s of Scripture). I see firm Scriptural and logical support for this doctrine, these 2 posts by Dan being clear examples of both. However I haven't come across a good explanation of those texts which seem so all-inclusive. I'm sure I just haven't looked well - I am fairly new to the doctrines of grace. I would like to read Boettner's book, see D. James Kennedy's DVD, eventually... until then, any online resources you can suggest in this same area? Sermons series, articles, whatever. "I think John Owens had it right. Jesus either (a) died for all the sins of all men or (b) died for all the sins of some men or (c) died for some of the sins of all men. The obvious answer is B is the truth." Interestingly, David Allen at SWBTS (right down the road from you, and now Dan!) wrote a post this week interacting with the new non-Calvinist SBC statement and offered the same quote but concluded clearly A was correct! I think your response fits into my second response where I say "I ..." in effect taking sovereignty from God and claiming to be the sovereign one. Is that what you are getting to? Also, in terms of 'price' (bought for a price, He paid the price...) why would the Father not accept the price paid by the Son? And could Christ not receive what He purchased? Again, this to me is where we have to admit our view of God's sovereignty. DAC, and those who appeal to 1 John 2:2: Please read further into 1 John and at 5:19 you find the same two words used as 2:2, Whole world. Is the whole world lying in the evil one or is that referring to much of the world? How can that be every person? Saved people certainly are not. And the "is" in 1 John 2:2 is present tense. If Christ already is and continues to be the satisfaction for the sins of everyone, what's God's problem? You have to add an asterisk to the "is" in 1 John 2:2 to use it to teach unlimited atonement. *"Well, He really isn't the satisfaction for people who die without Him." But isn't that kind of what definite atonement says? I just read his post. It is interesting that he argues against Owens but then falls into the very trap that Owens presents. DAvid Allen: Christ died for all the sins of all men. Owens: Ok, so why aren't all people saved? Allen: Well, because it isn't applied because of unbelief. Owens: Is unbelief a sin or is it not? "If it be, then Christ suffered the punishment due unto it, or He did not. If He did, why must that hinder them more than their other sins for which He died? If He did not, He did not die for all their sins!" The bottom line under Arminianism is that Jesus died on the hope and the lark that people would come to saving faith. He didn't secure anything when he died, he merely made it available. Amyraldism is worse, IMHO. It says Jesus died under a theory he knew wasn't true. I think even Allen acknowledged the inconsistency there. "I _think_ you were joking, but your Star-Trek-esque 'alternate universes' theory reveals the weakness of your position." I don't really believe in possible worlds, so yes, it was a philosophy joke. "If redemption only makes salvation possible, not actual, and if in an alternate reality Judas might be saved, then it is equally true that in an alternate reality Peter might be lost." I want to say "Yes, that's right," but I want to make sure we're using the same terminology first. First of all, you seem to be separating "redemption" and "salvation," when I sometimes use those terms interchangeably---maybe carelessness on my part. By redemption, do you mean Jesus' act of dying on the cross (and then rising again)? Certainly I believe Jesus' sacrifice opens the gate to life everlasting, which would otherwise have remained eternally closed. But I do think it is accurate to say, to use another phrase, that it EXTENDS THE OFFER of grace to the unbeliever. The ball is now in our court. This then is where your question of "Is it all God or all us" comes in, and I want to say "neither." I want to say that mercy has coming knocking on our doorstep, and that's purely an act of God. We could never have come to God except through the Son. So in that sense, of course it's not "all us." And yet I do believe God gives us free will, and like Adam and Eve in the garden, we can actively choose to remain in our sins and refuse to open the door, as Judas did, and many others like him. On the flip side, Peter chose to embrace the blood. Could he have chosen otherwise? I believe he could have. But that doesn't mean I believe we "save ourselves" without any help from God. Again, this would all be moot unless Jesus had made a way for us to approach the Father in the first place. Seems like maybe I should have just saved time and written "hobbidy bobbidy bloop" instead. I just now took a look at someone else's comment about Jesus dying on a "lark" that some people would come to believe in him. I definitely do not believe that. God in His omniscience foresaw that there would be those who would believe. People had already believe on Jesus during his ministry. Heck, Jesus says that Abraham has already rejoiced to see His day! So to imply that Arminians believe God essentially took a gamble is incredibly misleading, IMO. YGG, you are reporting back, but did you read those texts I gave you or is it just "hobbidy bobbidy bloop?" I'll try to clarify that last comment with an analogy... Suppose I wake up tomorrow and have eggs for breakfast. Did I surprise God? Of course not---how absurd! God knew exactly what I was going to choose for breakfast. But does that mean I didn't make my own choice to have eggs---instead of toast and jam, let's say? Of course not! I freely chose to have eggs. But that choice wasn't hidden from God. YGG: please stop commenting for now. You seem to have mistaken the topic, the whole blog, or something. It is as if you think the post says "Please free associate your long-held assumptions about God, below." It isn't -- not the post, not the blog. I want you to go back and read the first post through. Look at all the Bible verses. Then read this one. Then comment, if you want, on-topic. I'll just delete anything else until then. I want us to stay on-topic. Or get back to the topic. Or something. And the topic is what's in the posts. What does it mean that posts like this bring me to my knees, causing me to worship and glorify our great and glorious, sovereign God? Okay, I took a look at the verses Kerry pointed out about Judas. Clearly Judas's betrayal of Jesus was prophesied through David by the Spirit. Then Jesus's phrase is "doomed to destruction." But I'm not sure that's inconsistent with God simply knowing that Judas would in fact choose to betray him. Jesus looked at Judas and knew he was doomed, because he knew Judas would never repent. But I suppose it hinges on how you interpret "doomed" -- one could read it actively, as if God had literally made it impossible for Judas to repent, had "doomed" him. By the way, my first comment was exactly on topic, and then all my subsequent comments were simply responding directly to other commentators. So I wasn't trying to drag things off course, just engaging the objections other people were raising. No, you haven'y actually dealt seriously with anything in either post seriously yet, and that's what I'm trying to get you to do. Is there a difference between buying a $2 hotdog for $10K and paying $10K for how ever many hotdogs my son decides he wants? I think there is. And I think that this is the difference between the 4 pointer's view of atonement (or the Lutheran's for that matter) and a 5 pointer. The issue does seem to boil down to the unity of the Godhead and the intention of Christ's work on the cross, not the actual value of Christ's sacrifice. @Brad @YGG: Dan having replied to both of you, I don't feel I should reply directly. From the above comments, it seems that many Amyraldians have a bigger issue with Unconditional Election than they have with Definite Atonement. I've thought about this, and much more! This post operates from a false-binary and metaphysic being imposed upon the text of scripture. 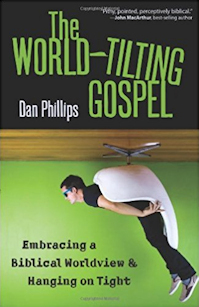 Not only that, it is entirely entirely inconsistent for Dan Philips to appeal to the Covenant of Works, Pactum Salutis or Covenant of Redemption, and Covenant of Grace---or Federal/Covenant Theology as a Dispensational thinker such as Dan is. Anyway, there is a much more complex reading of the Reformed and Calvinist tradition than the typical American understanding offers (Dan's post). I have thought a lot more about this (and I'm not Amyrauldian by the way, for anyone really interested in understanding Amyrauldianism you should read the standard work on it authored by Brian Armstrong entitled Calvinism and the Amyraut Heresy: Protestant Scholasticism and Humanism in Seventeenth-Century); like I said, I've thought a lot and much more about this here, and the Covenantal/Federal/Somehow-Dispensational version of classic Calvinism Dan is trying to foist on folk. At least be consistent Dan, and abandon your Dispensational theology; you can't consistenly give us a scene from Covenant/Federal Theology and maintain a consistent Dispensational hermeneutic as you seem to be trying to do in this post. Okay, since you cannot apply my dizzying critique to what you have written, I shall now demonstrate how you erred, and being properly contrite, I'm certain that you will do a repost dealing with actual Amyraldianism. "Because I am rich and mercy, and because of the great love with which I love them, I am selecting a subset of humanity for salvation." That is not Amyraldian theology. Amyraldians insist that the Father first said, "I decree that my son shall die for the sins of the whole world. An infinite price for an infinite offense." Second, He says, "And from the mass of humanity, I select a Bride for whom the atonement will apply, since none will believe apart from it." There you go. You didn't write about Amyraldianism, and if you think that's what it is, you are wrong. No, we don't have the Trinity working in confusion. It's rather simple if you actually understand what I am talking about. As for Owen's argument, I believe that Jesus died for those who believe and that His death covered unbelief. I just do not believe that any one is saved until the atonement is applied. And I believe that belief is requisite for salvation. Under your understanding, does a man have to believe in order to be saved, or are the elect saved already and do not need to believe? Also, my riposte was meant to be humorous. Only I am dizzied by my intellect. Bobby Grow I'd love to see you explain how the obvious opposing hypothetical conversations are false-binaries, but that would be beyond Dan's post. Either Christ was unified with the Godhead or He wasn't as it concerns His atonement - that's the main idea here, and those two views are opposing to eachother. In order for Christ to have risen again from the dead He must be in perfect unity with His Father because, according to His own testimony, He came to do His Father's will, not His own; His resurrection means He wasn't lying.. And since the Holy Spirit is united with the Father, and Jesus was empowered by the Spirit to do His Works on earth, then the Spirit would not have worked in Him apart from unity with the Father. Relatedly, disunity in the Godhead would mean that the immutable God would have a mutation, and in that case we'd not be having this conversation. Where did Dan appeal to the pactum salutis, etc.? Is it the exclusive claim of covenant theology that God is eternal? In the post he referenced a council. It happens to be a council that sounds a lot like the pactum salutis. Big deal. Just stick to the topic of the post. How does the Amyraldian view reconcile with the fact that Christ's atonement is a propitiation - it takes away wrath? I love this blog. From atonement to hot dogs in a single meta. Then Bobby puts a cherry on top by babbling in Christian jargon only to say what could be said in a single sentence which is that he agrees with limited atonement but hates the fact that Dan finds Biblical support for dispensational eschatology. Brad, now I'm loster than ever about you. Which part was serious? If what you are saying is Amyraldianism is actually Amyraldianism, how have you forwarded anything? It genuinely is even more Biblically absurd than I gave it generous credit for being. For Amyraldians' sake, I hope the latter. Brad: You still have God the Father telling the Son to die for people the Father knows he will not save. You still have God the Father and God the Holy Spirit working to achieve a goal different than that of God the Son. This is true whether you put election of people before the election of salvation or reverse the order. Jesus still dies for a hypothesis He knows is not true. (Which is why it is called lovingly as "hypothetical atonement." Well you'll have to read my book Evangelical Calvinism: Essays Resourcing the Continuing Reformation of the Church, in order to understand 'how' I believe in limited atonement. You will also need to be willing to learn something other than what you want to believe about something (there is a difference). But you stand before the Lord, as do I. As far as I know it isn't a problem. Why would it be? At least, I don't have a problem with it. Maybe I'm also a lousy Amyraldian. I would simply say that it propitiates wrath when applied by the Spirit. It does not propitiate before that. If someone's sins were propitiates before regeneration, then they wouldn't have to be regenerated to be saved. The atonement only actually propitiates for those who believe, and the only ones who believe are the elect. But it only propitiates upon belief, not before. The only difference, I think, is that I believe the atonement is the same whether one or ten billion believe. It doesn't matter how many are elect, the price is still the same. This avoids the "double jeopardy" objection. Most of what I am saying is that the limiting factor is not the scope of the actual death of Jesus, but is actually limited by the decree of election. That's very, very close to what many 5 pointers have said all along, including Charles Hodge. That is not what I am saying. I am saying that Christ's death is only limited by the decree of election. Do you believe that the atonement if sufficient in power to save every one who ever lived? I was joking about the dizzying intellect part. Maybe you should read something about Amyraldianism before trying to refute it? Do you know of any Amyraldian who would agree with the caricature that you have written? If not, how have you advanced anything? It's pretty simple, as I understand it. 1) The Father decreed that the Son would die for the sin of the world. 2) Knowing that no man would believe, God elected a people for His Son. I have no problem with this because it doesn't change a thing about the suffering of Christ. It was an infinite price, it would not have changed the efficacy of the atonement if God had elected more or less, and it clearly demonstrates that the atonement is sufficient for anyone who will believe. The only difference is in the order of decree and what limits the atonement: the efficacy of His death or the electing grace of God. In fact, and your question gets into something much to deep for this blog (apparently), but I appreciate it, I affirm the unity of the God-head. And I know that the theology that 5 Point Calvinism springs from (Federal/Covenant) actually injects a division into the God head by its ordering of things in this way creation, covenant, redemption. It needs to be covenant, creation, redemption; the problem of ordering things the way Federal/Covenant theology does is that by placing creation prior to God's covenant requires that when God, in Christ incarnates, that he becomes subordinated to creation, and thus driving a wedge between himself and the Father in the incarnation and in salvation. I have explained this in my book, Evangelical Calvinism: Essays Resourcing the Continuing Reformation of the Church, and won't belabor any of this any further here. My only real aim in commenting here, is to let some of the readers know, who are interested, that there is more depth available to the history of Reformed theology. I am willing to be insulted in order to make that known. PS. I already know that this kind of stuff really cannot be scrutinized in a fruitful way through the blogging media (there is too much to develop and too little space to do that), but it's better than nothing (I think). By the way, I agree with Phil's assessment of most so called 'Amyrauldians'. Bobby, so the Calvinist drives a wedge between the Father and the Son by affirming that the Son does the Father's will perfectly, in unity with Him? While the Amyraldian (unintentionally) unifies the Godhead by affirming a (unintentional) wedge between the Father and the Son concerning the atonement? Wow. Also, so you just stopped by to plug your book? And not engage the post? Something tells me a deletion is coming soon. I've been around here a lot longer than my book, but if folk want to seriously consider this at a length longer than the blog allows for then what else am I supposed to do; pretend like I don't have a book. And honestly, I haven't a clue what you're actually talking about in regards to the unity concept. Anyway, have a good one ... I'll stay away again. One more quick one: You'll have to grasp what placing creation before covenant, as the classical Calvinist engages in, does. It subordinates God to a set of what is called the 'absolute decrees' (the way that God supposedly creates to his creation in the classical Calvinist schema); as such, since the decrees are mechanisms used to order creation, when Jesus becomes a part of creation in the incarnation, there is a principle in creation (an impersonal decree for example) that dictates who God in Christ must be, more than God himself. And thus Jesus' life is now shaped by submitting to a decree instead of the Father. I meant **relates to his creation in the classic schema. More Brad Williams leaps. I never said I don't understand A'ism. I was one, I've read them. I only understand that you say "Oh no no, it's not that, it's this much worse and much more absurd thing, there y'go!" If it's as you say, it is still devastated by the Biblical truths in both posts; just more so, and more embarrassingly so. I don't know about others, but the problem I'm having in tracking with you is that you haven't once appealed to scripture yesterday or today. You relish in showing your intellectual chops but spend more time quoting Torrence than you do God's inspired word. There's much value in getting into the high brow side of theology, I'm just wanting to see some scriptural support for what you are saying and perhaps some direct interaction with the multitude of scripture that has been put forth the last two days. So far, it's been a bunch of kibitizing about how many angels can dance on the head of a pin from your camp. I wasn't leaping. Your post doesn't reflect Amyraldian theology. No wonder you abandoned that position that you thought was Amyraldian. How could you have believed something as goofy as you wrote about? Perhaps the absolute devastation will set in later. I would especially like to see you devastate 1 John 2:2 and 2 Peter 2:1 with something other than an imaginary conversation that doesn't represent Amyraldianism anyway. CCinTN said what I was thinking about the Bobber, but I was enjoying Bobby saying he liked what I posted from Phil. I guess I compromised. Perhaps in our desires to form a Pactum Salutis or Ordo Salutis we are confusing the issue a bit by confining our God to how we do things in time when He is the high and Holy One who inhabits eternity. And why hasn't anybody addressed the issue of the spilling of precious blood for those who will never be part of its power? I don't think any Egyptians had blood over the doorposts that night...and Christ our Passover is sacrificed for us. 1 Corinthians 5:7. I don't think God spills His blood in sacrifice without definite purpose. Brad, I commented on 1 John 2:2 earlier. Okay, I've really got to go. But let me just say; no, I am really not interested, at all, in flexing my "intellectual chops". Instead, I am interested in the Gospel truth. My comments presuppose scripture, they presuppose, Colossians 1:15ff; John 5:39; Luke 24; John 10; John 14 etc. My contention is that when we start our biblical interpretation with God's Self-interpreting Word and Self Revelation, Jesus Christ; that we end up with a truly Trinitarian hermeneutic (for that is what this discussion is about, hermeneutics), and one that will not eventuate in either 5 Point Calvinism or Amyrauldianism. Here is a scripture for you: 21 For our sake he made him to be sin who knew no sin, so that in him we might become the righteousness of God. The implication and interpretation of this (given the preceding context), is that God in Christ became humanity (representative of all of humanity, not just an elect part---that would be a reading into this passage). Thus God died for all of humanity, in Christ. I understand the humanity that Christ elected to be all of our humanity, and in so doing he elects our reprobation for himself, thus giving us his elect status as the firstborn from the dead (Col. 1:15ff); by his poverty making us rich (II Cor. 8:9). So election/reprobation, from a scriptural perspective must be understood through a union with Christ theology (as John Calvin understood so well). Thank you Brad for bringing in some scripture. Let's start with 1 John 2:2. I assume that you present that as support for the idea that Christ's death was the propitiation for the sins of the whole world. Let me assume that you are correct on this. Now how does that square with the multitude of scripture that has presented here today? Does scripture contradict itself or shouldn’t we now examine scripture closely to see what God is communicating. How do you jive these verses with what you are insisting 1 John 2:2 mean? Of course I am going to say that they do, and so are you, the question is how do we make them jive in a way that isn't goofy. Interestingly enough, I note that 2 Peter 2:1 is missing. It's tough to deal with Jesus buying false teachers in your view, isn't it? Okay, I think I've fired enough volleys here. I retreat from the field. You guys win the blog site. I have to tend my garden and eat supper and do other stuff. Like ministry! Also, I want to say that I do not agree with Bobby Grow. I don't think he's an Amyraldian. We aren't on teams. So, I'll just say in parting that I believe the atonement IS limited, but only by the decree of election, not by the power of Christ's death. I think the atonement price is the same for one person or everyone who ever lived: infinite. That's pretty much it. I'm leaving now, for reals. I will only read your rebuttals and gnash my teeth from here on out. I don't want to be that guy who says, "I'm outta here!" and never actually leaves. Sheesh. Guys. Seriously. Bobby Grow is a TROLL. Worse, he is a TROLL who only wants you to buy his book (hence the ridiculous off-topic name- and terminology-dropping sans any *meaningful* interaction with either of Dan's excellent posts). Please do not feed the troll. I saw it and I got it. Even people who haven't read the new book you keep pushing saw it and got it. My point was simply that its not inconsistent for dispensationalists to believe in an eternal council. The fact that Dan didn't reference the Pactum Salutis is completely predictable, considering that he is a dispensationalist and it has absolutely nothing to do with the point of his post. Since that was the point of my post, you're still batting .000. Brad, we know the problem with 2 Peter 2:1. I'm assuming that's one of the .03% (.003?) that Dan was referring to in his first post. However, I would say the multitude of witnesses tilt more heavily to the definite side. Unlimited atonement is an attempt to make God seem "fair." 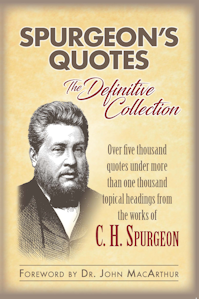 If you would like to read an excellent sermon, read "Fallen angels a lesson to fallen men" by Spurgeon, and note these words: "Where is your proud theory that God is bound to treat all alike , as if we had a claim on God? I point you to the fallen angels, and what can you say? Okay, I'm a liar, liar pants on fire. I lied. I said I wouldn't come back. But it seems rude not to answer when directly addressed, and I thought your comment deserved an answer, so here it goes for what it is worth. Maybe some people are trying to make God out to be 'fair' with the unlimited atonement. Not me. God could have damned the whole earth, and I do believe in a sort of Particular Redemption. I believe that God chose some over others for salvation for no reason other than the fact that it pleased Him to do so according to the counsel of His own will. I'm trying to make sense of the far more than .003% of verses. Take Yom Kippur for example. On that day, a single sacrifice was made for all of Israel. Was it really for all Israel, or only for the elect within Israel? It had positive effects for every last Israelite, even the reprobate, and it would have been sufficient for any who believed. I'm not trying to make God 'fair'. I'm dealing with the texts, and most of what I see cited in favor of a limited atonement can be explained by understanding it as a limited election. Let me ask you this, do you think Jesus would have suffered more or less or the same if the Father had elected two more persons? I see the atonement as more like the price of an all you can eat buffet. You may only want the sweet and sour chicken, but it doesn't matter. It is $7 for the buffet, whether you eat chicken and shrimp, all the shrimp, or none of the shrimp. So in the atonement, the death of Christ is sufficient for the entire world, every last person, because the price is infinite. It does not matter how many the Father elects; the price is still the same. Thanks, Brad! You heard it here first, folks: Moo Goo Gai Jesus. $7. Take as much as you want. Briefly, we must be careful about directly applying OT sacrifice to Christ's as being identical. We do know that not all of Israel is Israel Rom 9:6. Did God choose Israel out of all the nations? Yes, but not every Israelite will be in heaven. I would actually say that the epistles explain how those who were pre-Christ would be redeemed. It didn't have to do with any animal sacrifice, although as God's people they were to follow the laws surrounding sacrifices. Can someone help me understand the issue surrounding 2 Peter 2:1? This is an honest question as I don't see how it relates at all to what we are talking about. 2 Peter 2:1, "But false prophets also arose among the people, just as there will be false teachers among you, who will secretly bring in destructive heresies, even denying the Master who bought them, bringing upon themselves swift destruction." Peter says that the Master 'bought' false prophets, and that these false prophets will be destroyed. The challenge is to answer in what way Jesus bought these men if the atonement is limited only to the elect. There is so much nonsense in this back and forth and self-justifying that I am boggled there is anything left offset the image of God in it; so much scholastic hooey that smacks of arrogance...as if Jesus really wants this nonsense exposed thru His church to world. Here is Christianity at its base? Unbelievable. Folk like Brad make sense of the Gospel because there is something brought into the argument, but this dismissive attitude on the original post and some that follow is simple arrogance living itself out to deny the faith that has been given. Still unbelievable for the most part. "So in the atonement, the death of Christ is sufficient for the entire world, every last person, because the price is infinite. It does not matter how many the Father elects; the price is still the same." So where's the problem? Isn't that standard run-of-the-mill Calvinism? No Calvinist I know of, thinks that Jesus' sacrifice would've needed to be upped in expense in order to cover an additional billion people who's names weren't already in the Book. I agree 2 Peter 2:1 is a tough verse, which I can't answer. But there really still remains the issue of the Unity of the Godhead, to consider. As you say, Brad, we can't set Scripture against Scripture. So something's gotta make sense somewhere. Where I sit right now, so much of Scripture makes so much sense, that I'm willing to simply not understand the nuance presented in the verse noted above and the fact that Jesus "died for the sins of the world, especially of the elect." Until then, I remain convinced of what Dan originally wrote, because I see that in Scripture. Yep, that appears to be one those areas where we see through a glass darkly. 1 John 2 also let's us know that when these types of individuals go out from the Body of Christ it is because they were never really part of the Body of Christ. Don't we need to see this facet of the situation when we attempt to discern what 1 Peter 2 means? I would certainly cling to the clear teaching of scripture and seek to understand how the difficult passages fit in. But in the end, we don't reject those things clearly taught because we have some portion of scripture that is not as crystal clear. I read yesterday's post (which was great, btw) today's post, the comments, then this post again. I realized that, although I'd never heard the term (I had to look it up on Wikipedia), you were describing what I believed. I'd always considered it to be the "fair" and "just" way for God to save, even though I rejoiced in the doctrines of unconditional election, irresistible grace, and the rest. You've convinced me. I'll never call myself a 4-point Calvinist again. Off the topic, as someone who gets most of her theological ideas from reading the Bible and Reformed books and blogs (I was raised Catholic and attend a Wesleyan church, so my Calvinism is self-taught), my thanks to you and the rest of Pyro. Although I almost never comment here, I've read almost everything here and learned a lot. Quite frankly I would contend I am more of a 5 pointer than most professing Calvinists because I do not believe God loves all mankind. I believe He hates the workers of iniquity (Ps 5:5; Heb 12:6-8). Anyone want to debate that one? If you guys can arrange a TeamPyro cage match between Bobby and Lou Martuneac, I'd pay to see it. They can try to beat each other senseless with copies of their respective books. Thanks, Mandi, that's very encouraging. What an interesting journey you've had! I would like to hear someone argue against this simple, harmonious, most glorious logic: I believe the doctrine of original sin teaches the First Adam incurred a universal "sin" debt and then the Last Adam came paid that "sin" debt. It would be inconsistent to say the First Adam incurred a universal sin debt and the Last Adam came and gathered up some of those sins and paid for them while passing over the rest. I have a God who is not so trivial minded as to run thru the forest chopping down some trees but rather who is in the jet overhead nuking, obliterating, the forest (Isa 55:9). Your wish has been granted, Marty. You just need to read the part that comes between the title and the comments, in this post and its predecessor. Gotta love DJP, the "Prognosticating, Prescient Pyro." It's like the guy can read minds! Even vacant ones! "Now here at the Rock we have two rules. Memorize them until you can say them in your sleep. Rule number one: obey all rules. Rule number two: no writing on the walls. " 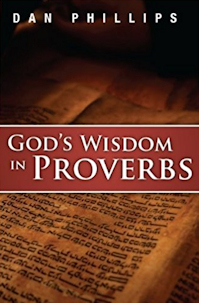 I’m going to try and give a different take on the eternal counsel of God – and one that is more in line with 4 pointers everywhere, as I used to be. Father: Son, I’m going to give you a host of redeemed of humanity to redeem (John 17:2). Son: Thanks, Father. To obey You by offering Myself as their sacrifice is my delight (Hebrews 10:7). Father: You will not rescue all, but only those who believe in you (John 3:16). Son: I understand. Father, in addition to those who will believe, do you want Me to atone all other’s sins? Son: Including all person’s sins of unbelief? Father: Yes. But I will not forgive their unbelief. Son: Then what good is it for Me to die for them? Father: You will show them how guilty they are for not believing. Son: Then my atoning death both increases their eternal judgment and atones for their sin? Father: Hey: Holy Spirit, help Me out here. Please consider reading the word "purchase" not as a redemptive purchase (unto saving benefits) but as a slave purchase. The word ("agorazo," an agora was a market)is used for purchases of slaves or goods - see Rev. 18:11-13 and most often in NT refers to purchases of real items - just like when you go to Walmart and buy something. Jesus is called the "depotes" here - so unusual (think "despot"). This was one of the common words for a slave owner, but never of a redeemer. There is more I could write on, but the resulting meaning of 2 Peter 2:1 is that Christ employs both profitable and unprofitable slaves in the kingdom work of the church (Luke 12:36-49, cf. Mat. 25:30). Ted's post begs the question: what is the unpardonable sin? Scripture says it's blasphemy against the H.S. who's work in the world is to convict of sin, judgment, and righteousness. Obviously to reject the work of the H.S. is to place oneself outside the bounds of forgiveness so is that it? If that is it then hasn't all other sin been dealt with on the cross? How does a discussion on 2 Peter 2:1 beg a question from John 16? It might be tangentially related in some way, but "beg?" Most will keep the "unpardonable sin" in Mat. 12 where it is sinfully attributing the miraculous works of the incarnate God on earth to the devil (cf. Luke 11:20). Some others will reach over to John 16, as you do, but only because they already have reached thier conclusion on the nature of the unpardonable sin, not because of any truly sound bible study. Your theory is undermined by this: some of those whom the Holy Spirit convicts in John 16:8ff come to true faith in Christ and are forgiven, but none of those who commit the unpardonable sin in Mat. 12 are ever forgiven. Ted in referring to the unpardonable sin I was eferring to your Father/Son dialouge not your 2Pe 2:1 post. My dad, a Baptist preacher his whole life, agreed with you. I am of the persuasion that one can resist the work of the H.S. but if he is of the elect he will ultimately succumb vs the ultimate and final rejection of the non-elect. DJP, while I appreciate and understand your response to my poorly worded question I would still like for you to simply address the issue of inconsistency in my line of reasoning. Guys I am not antagonistic to your view of Limited Atonement. In fact if I believed Christ died for specific sins of specific people then I'd be in perfect agreement with you. However because I believe Christ paid the universal sin debt incurred by the First Adam then I hold a slightly different view of Limited Atonement than you do. I still believe in Limited Atonement, I simply believe it is limited in design not requirement. Along those lines I don't know of any Calvinist who does not believe the atonement is sufficient for the whole world but only efficient for the elect. What I haven't heard is a good explanation of what that means and/or how that can be. My explanation seeks to address that issue. I don’t belong in the category with these other bloggers. Their gift of intellect far exceeds mine. In all honesty I’m to simple minded to be able to grasp all that’s being said or debated. I do care to be faithful to truth and consequently I do desire to understand Calvinistic beliefs. Because I don’t have the depth of knowledge as these others I get confused as to what’s being defended vs. what’s not. I seem to identify with Brad Williams reasoning. My personal convictions is that the atonement is limited to the elect because of new birth application, while universal in intent. I don’t believe that the future elect (those yet to be saved) are guiltless until they come to faith in Christ. Just like the non-elect the atonement is not applied to them until a point in time, although intended from eternity. Therefore in sharing the gospel, I don’t have a problem with saying "Christ died for your sins" to everyone, while understanding that everyone must first come to faith in Him in order for the atonement to remove sin. P.S. Asking for understanding until I can clearly see the differences in the arguments. Yes, Marty, that is dealt a death-blow in the first post and a coup-de-grace in the second. Neal, absolutely no sarcasm intended: it really doesn't require a dizzying intellect, just reading skills. That position was answered in the first post. I encourage you to read it slowly and carefully, look up the Scriptures, think about it, don't rush. Then do the same to the second. Adam : Humanity :: Jesus : Humanity. If it was hell would be empty. Those in Adam = Every human being who would ever live. Those in Christ = Every human being the Father gave Him before the foundation of the world (John 6:37, 39); i.e., the elect. Sending Marty, again, back to a thoughtful reading of the first post. @chantry: and just think, after the match we can use their books for our next Scrabble match or as a cure for insomnia. Jesus knew all whom he was dying for. Jesus paid the price specifically for those the Father gave him. It is limited atonement meaning that Christ's death on the cross was for a specific people and those people are whom it pleased the Father in his infinite love to chose before he even laid down the foundation of the world. Our approach to Scripture should always be to consider that some verses have to be looked at much deeper in light of the whole picture of God's redemptive plan, atonement, his Sovereignty etc than what it seems like it means on the surface. As John Gerstner, the delightful reformed theologian has said on more than one occasion,"what we need is a theology of the "second glance." -- Brad Williams said "So, I'll just say in parting that I believe the atonement IS limited, but only by the decree of election, not by the power of Christ's death." Not by the power of Christ's death?? I don't know what you think of Matthew Henry but I believe he is a Calvinist..as I also claim to be. He said in his commentary on 2Pe 2:1 "They reject and refuse to hear and learn of the great teacher sent from God, though he is the only Saviour and Redeemer of men, who paid a price sufficient to redeem as many worlds of sinners as there are sinners in the world." My question is how can He pay a price sufficient to redeem every sinner in the world if He didn't in some way die for all? DJP's final paragraph answers these questions. Yes!!! I was racking my brain so hard trying to remember this very same key to understanding Rom. 5: in Christ, Paul's wonderful theme of the believers' union with Christ. I heard a sermon series on this chapter before and was thrilled to see this, for it makes so many pieces of this entire chapter just fall into place. But brain must've been in short-term mode then. Thank you! By the way, the analogy symbols you used (“:“ & “::“) drive this point home so concisely... but I'm sorry, they just unearthed bad flashbacks of taking the SAT, 3 times. "Dog is to puppy as cat is to..? Anyone? Anyone?" You misread me. I said that salvation was not limited by Christ's death but by the decree of election. I appreciate Mike Riccardi's attempt at answering my question about consistency between the First and Last Adam incurring and paying a universal sin-debt using Rom 5. While there is a consistency of sorts in speaking of humanity being in the First Adam and the elect being in the Last Adam there is still, in my opinion, an inconsistency in one incurring a universal sin-debt while the other refuses to pay that universal sin-debt. I also appreciate Ted Bigelow's attempt to explain how 2Pe 2:1 does not refer to unlimited atonement. I had not heard that explanation before. However I think that is a bit of a stretch. I believe the clear implication is somehow Christ bought all on the cross. What I would like to hear is someone explain how the Boaz typology in the Book of Ruth does not support the assumption that Christ bought the world. I'd also like to hear an explanation as to how God could place the blood of the non-elect on my hands if I fail to warn them (Eze 33:1-9). There is still, in my opinion, an inconsistency in one incurring a universal sin-debt while the other refuses to pay that universal sin-debt. This is simply owing, Marty, to the fact that God has not chosen to elect everyone unto salvation. God had decreed that all of humanity fall into sin through Adam. God also decreed that only a subset of that humanity would be saved to everlasting life through Christ. Christ's atonement is consistent with the Father's choice. So, I'm really late to the party, but I've read and re-read both posts, and followed Brad's (and many others) conversations (except Bobby's, I got lost somewhere in those woods and life-flighted myself out) and I really wish DJP would interact directly with Brad. I think I know why you're not, because what his argument implies is that if Christ died for the sins of the world then he either intended to save them or didn't. If He did intend to save them, then He tried and failed (not good, Biblical, or desirable for anyone) and He's in disunity with the Father, as the Father does not decree that all are saved. You have addressed both of these in your posts. If He did not intend to save them (which Brad and DJP both seem to agree with) then why did He die for them since He came to "save sinners," not just try to? And how are their sins still counted against them? Brad's reply: Because the atonement was decreed/applied to the sin's of the world first and then God's decree of election applied the sacrifice to His elect. Also, Christ's sacrifice is infinite regardless of how many are saved because are sins are against an infinite God and deserve an infinite punishment. My question for Brad: In your view, did Christ's universal atonement pay for the sin of unbelief in unbelievers? If so, what does it matter if God the Father decreed some elect and some not? The sin of unbelief that holds them back from repenting has been paid for. Would this not, as Dan shows, put the Father at odds with the Son? Also, what sins are they being punished for in Hell? It seems like you're saying: Christ died for everyone's sins. But it's only applied to the elect. AND, unbelievers are still punished. BUT, Christ did not vainly die for their sins but accomplished...salvation, redemption, atonement, what??? Even though they're still punished and still in their sins (that Christ died for). Please pretend that I put all the right Bible references in there. I really would like to know what you would say to this Brad. You're position makes sense until I get to this part: What did Christ accomplish for these unbelievers, and what are they being punished for if their sins are atoned for? Otherwise, aren't you saying that Christ paid an infinite price for sins instead of dying specifically for my, yours, believers sins even though He says He laid down His life for His sheep, friends, bride? That seems specific towards His people. Not generic atonement, and then applied to the elect. Jared/Brad/etc..please forgive me if my response is unwanted here but I believe your question is too important not to add my two cents. My current view is that Christ paid for "sin" not particular people's particular "sins." Thus He can now impute His righteousness to whomever He chooses or withhold it from whomever He chooses. Therefore the elect will be perfectly righteous (jusified) at the judgement while the nonelect will be unrigheous (unjustified) still. Ultimately one lives with God in heaven experiencing the totality of His goodness or they live apart from God in hell experiencing life totally void of any of His goodness. Only those given to the Son by the Father and quickened by the Holy Spirit will have Christ as their Advocate. Anyone who thinks that I have not already responded to any view that in any sense has Christ dying for people who end up in Hell has not seriously and thoughtfully dealt with either of these two posts, and should not imagine that I am going to keep re-writing those posts over and over in the comment section. The Amyraldian scheme supposes that there are people for whom Christ died who are now, unrepentant, under the wrath of God eternally. It supposes that the Father could demand the penalty for sin from Christ and then demand it again from the sinner. To think like this is to display a misunderstanding of substitutionary atonement. ---Marty Summers you said "My current view is that Christ paid for "sin" not particular people's particular "sins." ~“And what does it mean at Calvary? Does this only mean that God attempted to save people and it’s not complete? Does this mean that God is not Almighty? If Jesus did not die for a particular and specific people then doesn’t that mean it’s all uncertain and just a theory and a hope? John 15:12-Jesus laid down his life for his friends. He laid down his life for those he chose.-16. John 10:11-15 and John 10:26 10---15 "I am the good shepherd, and I know My own and My own know Me, even as the Father knows Me and I know the Father; and I lay down My life for the sheep..Jesus says to the Pharisees “you are not my sheep”. Rev 20:14 Then death and Hades were thrown into the lake of fire. The lake of fire is the second death. 15 If anyone's name was not found written in the book of life, he was thrown into the lake of fire. “The lambs book of life already referred to in the book of Revelation says that it was written before the foundation of the world-(Rev.17:8). Linda and all concerned, I too like DJP have responded to your concern in multiple posts. But I will once again state my stance which is that I dogmatically agree with you. I do not believe in an ineffectual God trying to woe all humanity unto Himself and having His will thwarted by the Devil and/or fallen/dead man or anything else in existence. I believe in eternity past God the Father chose the elect and gave them to His Son who went to the cross specifically to atone for their sin to secure their salvation and that today the Holy Spirit is going to them to irresistably quicken and draw them to Christ. We are not at odds about this. There is no "iffyness" about God sovereignly saving those He chose. The only thing we are debating is how the cross can be sufficient to save all sinners when Christ did not die for all sinners. Comes a point in a lively meta when the main group of conversants has moved on and folks creep in with silliness. I just deleted some, signalling to me that it's time to turn off the lights on this one. At least one thing we learn is that folks will believe what folks want to believe until they're willing to believe otherwise. How many ways did folks try to find to get around dealing with the actual contents of these two fairly straightforward posts? I lost count. I leave you with a closing imaginary dialogue, extending that of the post, illustrating some of the thoughts of those in this meta who just don't like the language of scripture. Father: if You are not dying to make full satisfaction for the sins of those I am giving You to save, then what are You dying for? Father: "Sin"? Whose sin? What sin? Son: Just, you know, sin. Father: But not the sin of anyone in particular? Father: Is sin a gas-cloud? Sin is something people do by omission or commission. There isn't such a thing as "sin" apart from sinners. How can you die for "sin" without dying for particular sinners? The language of Scripture makes much better sense. Which was the point of these two posts. About those "Honest Doubts . . ."